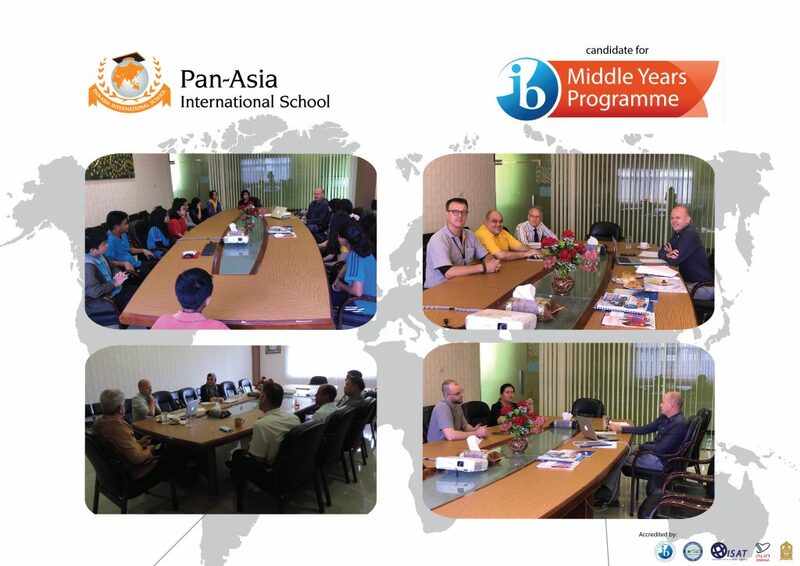 PAIS has been a candidate school for the IB Middle Years Programme since 1 September 2017. We had the pleasure to welcome our assigned consultant from the IB organisation, Mr. Jonathan Smedes who has been working with us closely on overseeing and supporting the school’s preparation towards authorization by the IB Organisation. Mr. Smedes came to PAIS for a Consultation Visit as required by the IB to make sure all stakeholders at PAIS are aware and support the school’s programme implementation. The consultant visited all school facilities, observed the MYP classes. He met with the school management, the MYP coordinator, all subject teachers, the parent and the student representatives, explaining the requirements of verification. The comments and suggestions from Mr. Smedes are constructive and positive. We have revised all written documents including the subject curriculum overviews as well as school IB MYP policies. We are now at the final stage of the Candidate phase and getting ready to enter into the next phase towards authorization. PAIS will formally apply for authorization process on April 1, 2019.